Based on chapters 16-28 of Matthew's Gospel, this book, which may be used by groups or by individuals, provides a series of services to be used reflectively through Lent and Easter, helping us to follow the way of Jesus more closely and celebrate his victory over sin and death. 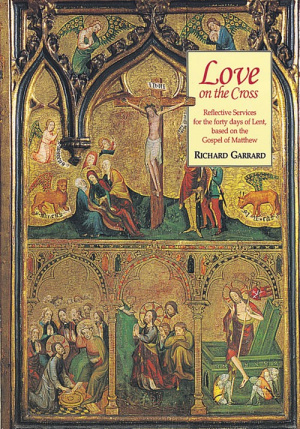 Love on the Cross: Reflective Services for the Forty Days of Lent Based on the Gospel of Matthew by Richard Garrard was published by Kevin Mayhew in November 1995 and is our 44337th best seller. The ISBN for Love on the Cross: Reflective Services for the Forty Days of Lent Based on the Gospel of Matthew is 9780862097394. Be the first to review Love on the Cross: Reflective Services for the Forty Days of Lent Based on the Gospel of Matthew! Got a question? No problem! Just click here to ask us about Love on the Cross: Reflective Services for the Forty Days of Lent Based on the Gospel of Matthew.